Real Estate Insights: How Much Does a Hard Money Loan Actually Cost? Many real estate investors or properties don't qualify for a traditional loan through a bank for a variety of reasons. This is where a hard money loan comes in. It can accomplish the same job of helping investors secure funding for their next investment property. You're probably wondering how these loans work, and, more importantly, how much they actually cost the borrower. First, let's clearly define what a hard money loan is. The actual loan amount offered by a hard money lender is secured by real property. The state of the borrower's credit is still important, but since the loan amount is secured against property, credit is less critical than with a traditional loan. Most hard money lenders calculate the amount you can borrow based on either the "as is value" of your property or the "After Repair Value" (ARV). You could borrow up to 80 percent of the ARV in at least one case. A loan based on the ARV can include the repair costs along with the purchase price. This is ideal for "fix and flip" or "fix and hold" deals. There are many property types lenders are able to finance: single- and multi-family residential homes; commercial property; vacant land; or industrial property. However, the majority of hard money lenders don't lend on owner-occupied residential homes. Hard money loans can come in many different shapes and sizes, so the differences between hard money loans and traditional loans can be significant. For one, the repayment structure is different than conventional mortgages. With a traditional loan, the repayments are calculated using amortization. Each repayment contains a portion that covers the interest due and a portion which pays down the loan principal a little more each time. Payments on hard money loans are interest-only payments. Then, at the end of the loan term, the borrower pays the principal owed in a lump sum. With traditional home loans, the money is issued by banks, financial institutions or lenders. In comparison, hard money loans are usually issued by hard money lenders or private investors. Mortgage originators and banks must adhere to strict regulations. These can inhibit lending for real estate investment deals (even great ones). Hard money lenders, on the other hand, aren't constrained by those same regulations, and can make decisions based on good business sense. The approval process for hard money loans is generally faster—significantly faster—than the conventional loan process. This makes sense for investors who need to act quickly in a short period of time. In most situations, a hard money loan can be funded in as little as 7-10 days, sometimes less. With hard money loans, less-than-perfect credit might be offset by other factors such as the property's location, total value and available cash assets. Additional real estate could also be pledged as collateral, and the borrower's contribution to the transaction is also an important element. These factors should all be taken into consideration. Now we're getting down to the juicy facts! Avoid the most common mistakes calculating the actual cost associated with hard money loans. This requires some expertise. Many people focus solely on the interest rate charged on the loan. It's important to consider other costs into your calculations before agreeing on a lender. Interest Rate: Interest rates on hard money are higher than traditional loans, but the loan term is much shorter. It's wise to consider the actual dollars that will be paid during the term of the loan, rather than the APR. 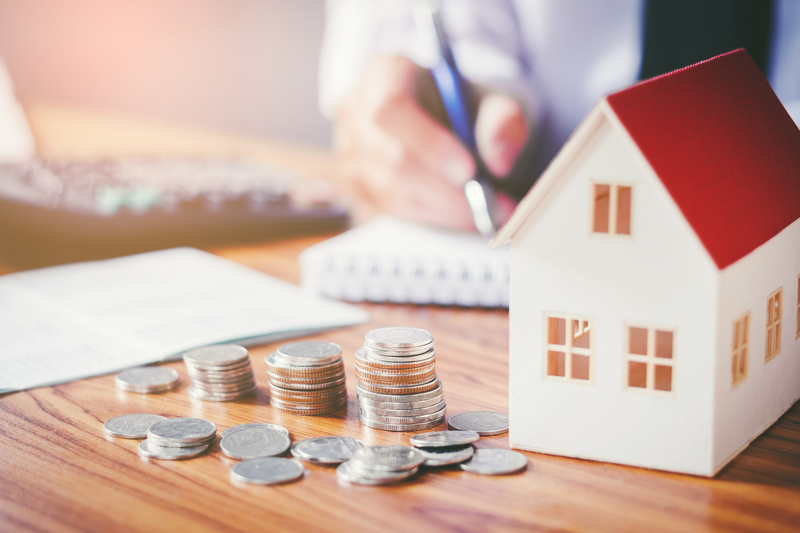 While there are hard money loans available for less, the average APR tends run between 10-15 percent, depending on three things: the lender, the property and the borrower's qualifications. Points: Points are calculated as a percentage of the loan amount. This is the charge for originating the loan. With most lenders, points can vary between 2-4 percent of the total loan amount. The actual points charged on your loan may depend heavily on the loan-to-value (LTV) ratio of your deal, the interest rate charged and the risk associated with the loan. Processing and Underwriting Fees: Lenders typically charge a fee to process the loan application and documentation in order to underwrite the loan. Appraisal Fee: Typically the borrower pays a fee for an appraisal by a licensed appraiser. Referral Fees: If you were referred to your hard money lender by a REALTOR® or broker, a referral fee might be added to the cost of your loan. Pre-Payment Penalties: Check the fine print for fees charged for paying off loans early. Some, but not all, hard money lenders charge a pre-payment penalty. Real estate investors normally take out hard money loans when purchasing property that requires a lot of work. The total amount of the loan given is for how much the property will be worth once renovations are complete. Again, this is known as the "After Repair Value." No matter what your reasons are for using a hard money loan, the lender you choose will also want to know your exit strategy (in other words, your plan for how you'll repay the money you borrow). Since this type of loan would be short-term, the buyer has plenty of options following repairs. Your plan might be to quickly rehab and sell the property to repay the loan—this is typically the favorite strategy among "flippers." Otherwise, your plan to repay your hard money loan may be to transition into a traditional loan after the renovations are complete. This second strategy is a favorite among landlords. There are plenty of different hard money lenders available, so be sure you find a reputable company. Most mortgage brokers and REALTORS® and even traditional banks have connections with experienced hard money lenders and can usually recommend one. Alternatively, it's easy to search online for reviews and recommendations from other investors who have successfully completed deals using hard money loans. Above all, don't get overwhelmed by the details of how this all works. Great lenders will steer you right, helping to pinpoint the perfect loan that suits your property investing goals. You will then be provided with substantial expertise, whether making a quick flip or owning rental property. Steven Kaufman, CPA, MsEDE, is a finance enthusiast and the founder and chief acceleration officer of ZeusLending.com, an online provider of real estate investor loan products, including hard money loans. Kaufman is frequently interviewed on current financial markets by local and national news organizations such as FOX, ABC, CBS, CNN and Bloomberg. Many thanks for detailed info about hard money loans, Keep sharing this types of remarkable blogs.